It’s almost time for the maiden edition of the Lagos Bridal Fashion Week (LBFW 2018) and we can tell you that this event will be the ultimate destination for bridal fashion in these parts of the world this year! The three-day event which is set to hold in the first weekend of May 2018 will feature Pan-African bridal designers for the daily runway shows, a bridal boutique which will house a collection of vendors retailing bridal (and wedding) items as well as private rooms for consultations with designers and bridal stylists. There will also be a master class with fashion industry experts. Lagos Bridal Fashion Week is the ultimate destination for bridal fashion. We invite you, your friends and family to experience this innovative and awe inspiring event. The atmosphere will be buzzing daily from 10am till 10pm. Be surrounded by interactive displays from a selection of the best wedding suppliers and bridal designers Africa has to offer. #lagosbfw2018 | Register To Attend. 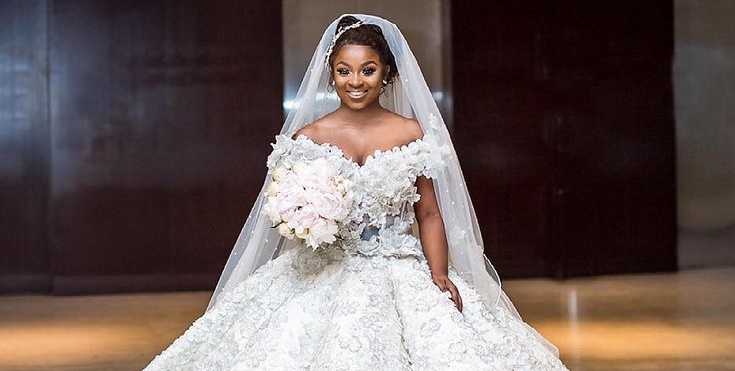 We expect to see members of the Press, Bloggers, and Photographers present at the Lagos Bridal Fashion Week as access to the show will be free of charge. Apart from the usual suspects like April By Kunbi, Mai Atafo, and Toju Foyeh, we also expect to be wowed by these 5 fashion designers/brands. The UK based fashion brand is simply a breath of fresh air. Take a look. Decades in the game and still killing it. Kosibah dresses are neat, classy and represent the phrase “less is more”. Always on trend with her designs, Yemi Shoyemi is sure to bring it as usual. Dreamy, unconventional and classy, with clean lines and a perfect fit, Andrea Iyamah is definitely a must see. With their ever dapper and well-tailored suits, Kimono Kollection is one to look out for. The LBFW will be held from 10am to 10pm starting from Friday, May 4th to Sunday, May 6th, 2018 at the Balmoral Hall, Federal Palace Hotel, Victoria Island, Lagos. So if you’re a bride/groom-to-be, wedding/bridal stylists, fashion buyer or fashion lover just like us, make plans to attend and thank us later.